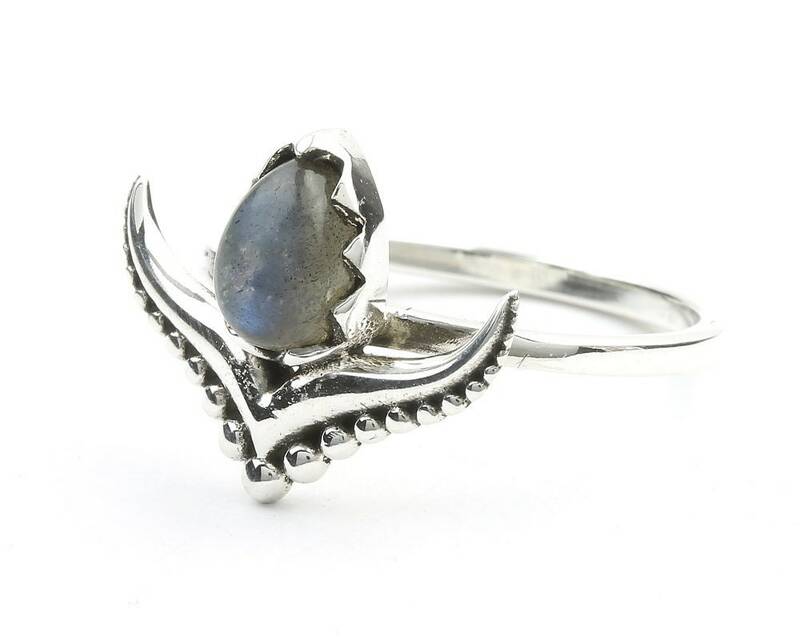 Beautiful sterling silver ring with Labradorite accent stone. 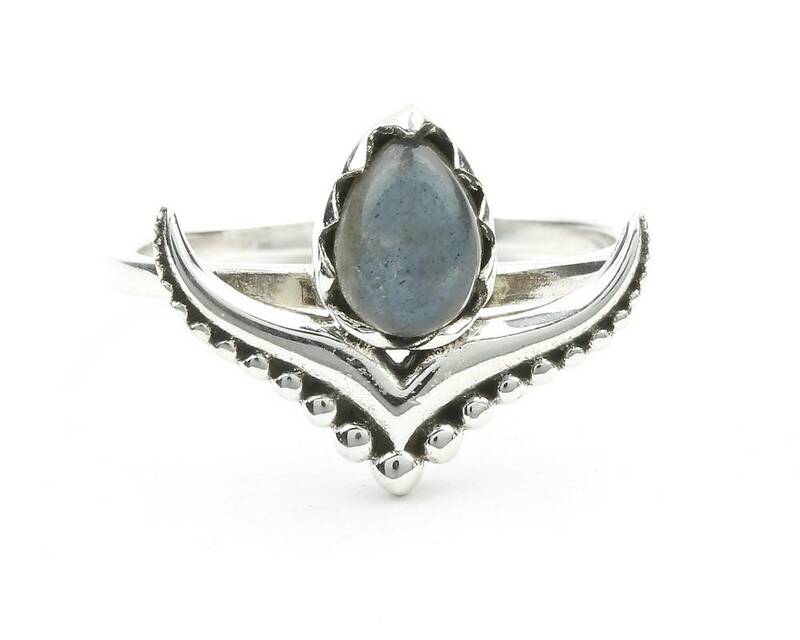 Unique shape with silver bead detail. Patina finish accentuates the silver bead detail of the piece.